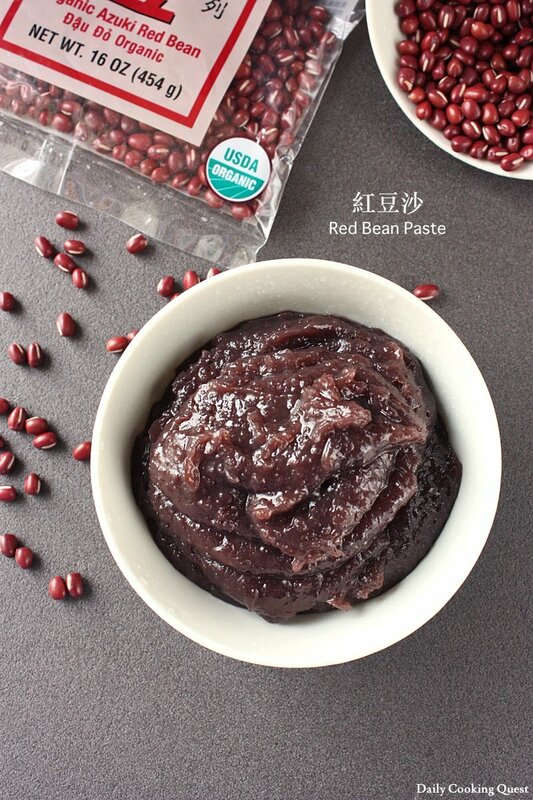 Red bean paste is made from adzuki bean, a common dessert filling ingredients in China, Korea, and Japan. 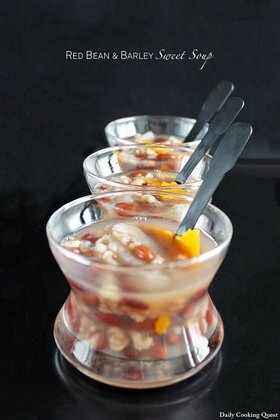 Previously I have posted the recipe to make the Japanese version (adzuki an), and here is the Chinese version. 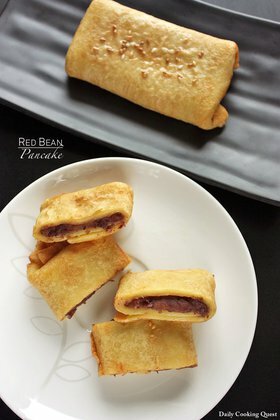 As far as I can tell, the Chinese version of red bean paste is almost always a smooth paste, and traditionally lard is added to the paste. Since it is not that easy to get a hold of lard, I use butter instead :) But if you have lard on hand, it is considered more “correct” to use lard. 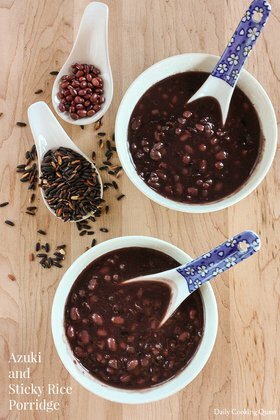 Place adzuki beans in a pot and pour enough water to cover the beans by 1 inch. Bring to a boil, then drain. Again, pour enough water to cover the beans by 1 inch, and again bring to a boil. This time, turn off the heat, cover the pot, and let it rest for 1 hour. This will soften the beans without having to waste too much gas/electricity. Drain the beans, then pour enough water to cover the beans again by 1 inch. 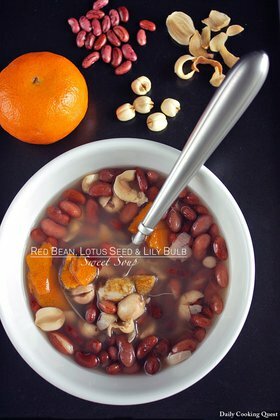 Bring to a boil, then reduce heat to a simmer and cook until the beans are really soft, the skins have split, and almost fall apart. About 30 minutes. Drain the beans, transfer to a food processor (or a blender), and process until smooth. Return the paste to a pot, add sugar, lard (or butter), and salt. Cook on low-medium heat until it turns into a thick paste, stir frequently. Turn off heat, let it cool, then store in fridge. Please use within 2 weeks.